Do you ever do weird things to your kid? This poor little guy didn’t have a chance. He was born the last of 7 kids and quite a bit later than all the others so not only did he have to put up with all his older brothers and sisters doing things to him, he had to put up with a mother who now had more time to do “fun” things. GREEN hair with RED eyes…. A few other GREENS and REDS….. Very handsome son with green eyes, you must be very proud. Thank you for sharing. Isn't it amazing how fast our children grow. You must be so proud of him!! !My son (now 18) recently saw a picture of his first halloween costume at 6 months old. It was a little black cat. I thought it to be adorable--he however had a different opinion. I told him all moms do silly things to their children (hehehe) I love all of your green and red. Happy Rednesday and Happy St Patricks Day. What a fun post! I love the idea of dyeing the hands and ears green. So cute! And what a handsome son. You must be so proud! Happy REDnesday and Happy St. Patrick's Day! I love your blog. 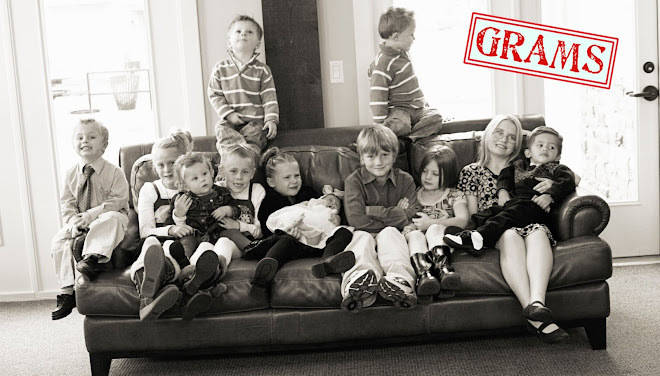 Those grandbabies are adorable. Military son is handsome.....I have been a Military Mom as well. Tell him thank you. The green faces are funny. I never would have thought of that. You are encouragement for my first attempt of blogging. Thanks. He was adorable when he was younger, very handsome now !Great reds &greens! These are priceless photos! What did you use for dye - food coloring? Does the military allow your son to dye his ears green now? LOL! 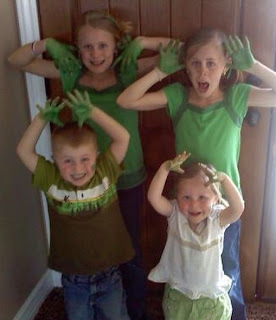 Fun GREEN pictures! You have so much fun at your home! Handsome son to!